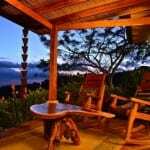 You’ve been to Costa Rica on vacation, and you’ve thought: “Wouldn’t it be great to live there?” Or, invest in a vacation home that you can rent out and visit frequently? 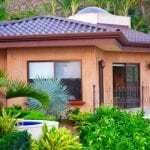 Besides being one of the top five best places in the world to retire according to the 2015 International Living Retirement Index, a lot of people from other countries invest in real estate in Costa Rica for vacation homes and rentals. 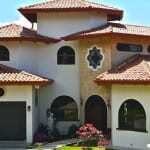 But where do you start to look for Costa Rica property investment ? Location is most important. 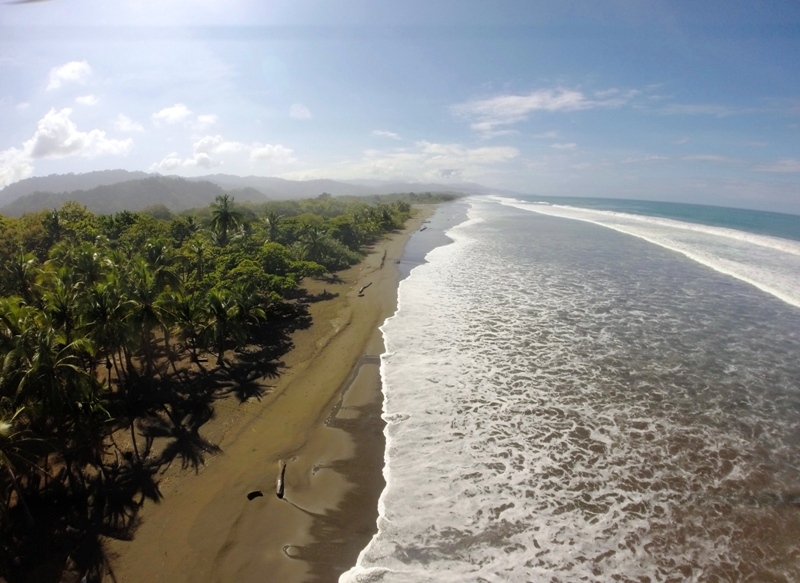 Two of the main attractions of Costa Rica are the rainforest and its beaches. If you’re a nature lover and sustainability and being environmental are important to you, keep reading. 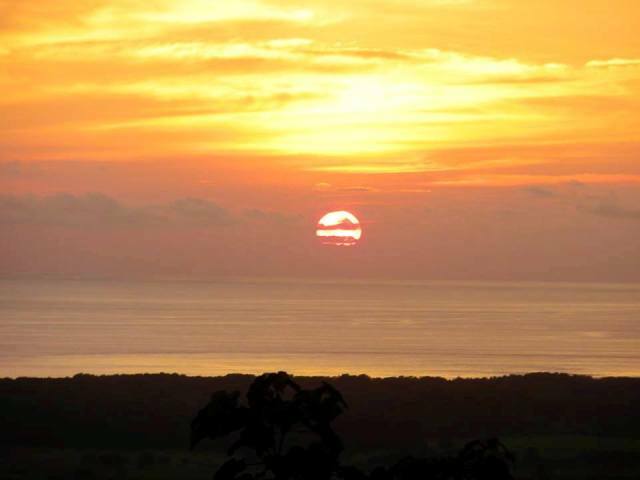 There’s an extraordinary eco-development on Costa Rica’s Central Pacific Coast that’s perfect for you. Set on 1,335 acres of pure rainforest along the coast, Portasol Rainforest & Ocean View Living is a unique, sustainable residential eco-community. 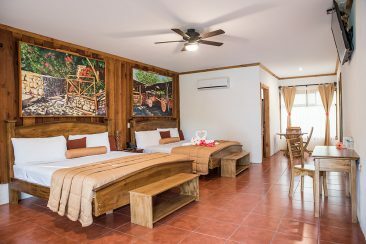 Portasol’s location is ideal – close to the renowned Manuel Antonio National Park and beaches, the popular surf town of Dominical, and remarkable whale-watching in the Ballena Marine National Park. 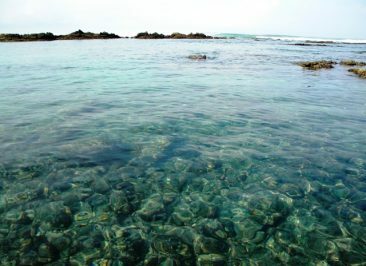 Minutes away are the beautiful undiscovered tropical beaches of Playa Linda and Playa Matapalo. Rivers and waterfalls flow freely at Portasol making lots of great natural swimming pools. 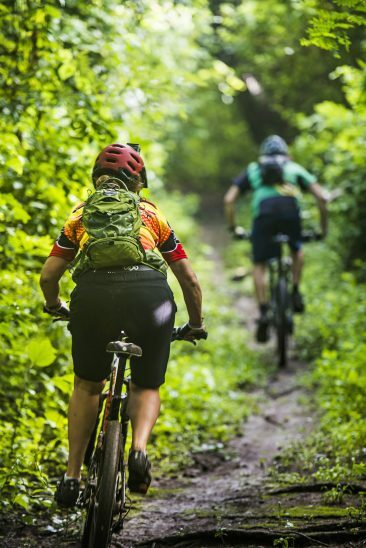 Miles of unobtrusive hiking and mountain biking trails crisscross the development. 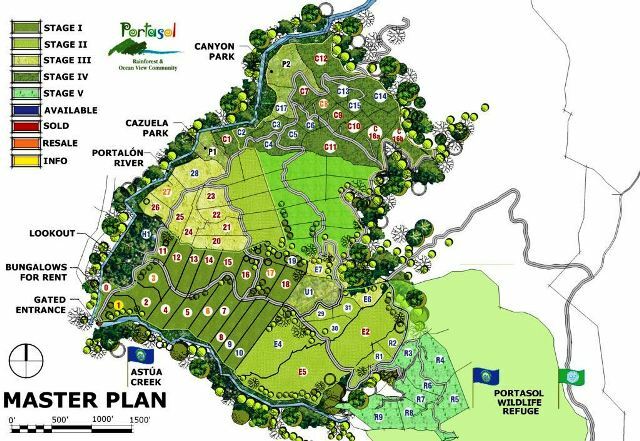 Being a sustainable gated community, Portasol Living protects 83% of its land as green space. Two hundred acres of virgin forest have been set aside as a private nature reserve, and there is a community regulation that only 15% of each lot may be used for construction and the remaining space preserved naturally. Portasol Living is being developed in phases. There are currently 56 lots developed with a total of 180 planned. At present, there are seven new properties available for sale and 11 lots available for re-sale, ranging in size from 1.2 acres up to 11 acres at prices ranging from $46,000 to $300,000. Only six houses have been built so far in the development; four are used as Costa Rica vacation home rentals and two are for sale. Property owners come from all over the world. 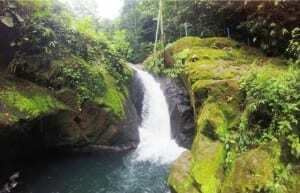 Lots are positioned between 250 and 1,800 feet above sea level on mountain terrain covered with forest; each has road access, water, satellite TV, telephone and electricity supplied to the property line. Features include: ocean and mountain views, mature rainforest, river or creek boundaries, and access to trails and public areas. Portasol Living offers financing options for land purchases and home construction, and can assist with architects and building contractors. 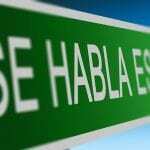 What do people say about Portasol Living? 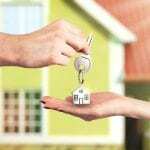 Klutts, who owns Klutts Property Management, a large residential property management company in Charlotte, North Carolina, bought a property in Portasol Living and built his dream retirement home – Casa Monos Locos (“Crazy Monkeys House”). 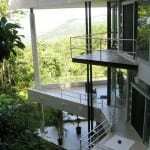 He uses the fabulous house in the rainforest with ocean views for a very popular vacation home rental, until he is ready to retire. 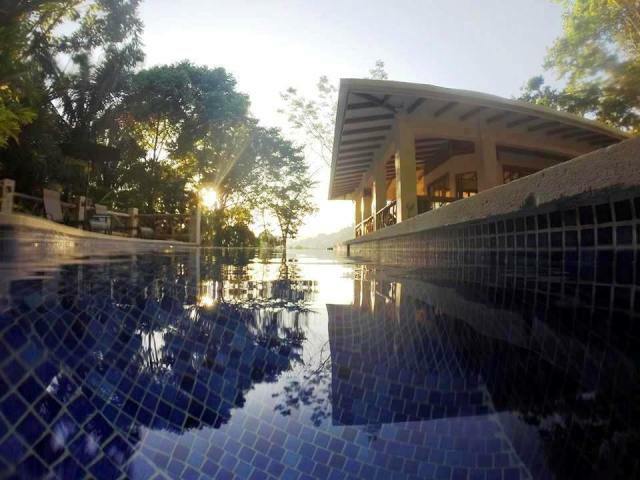 Thomas Paul, of Connecticut, USA, owns several investment properties in the Manuel Antonio area of Costa Rica, and runs the management company of the Tulemar Resort. 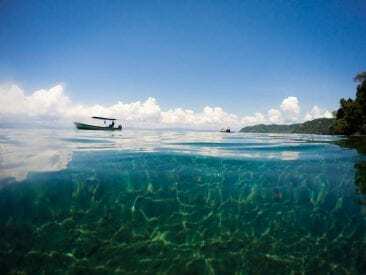 Portasol Living’s commitment to sustainability and land protection are what attracted him last year to buy and remodel the luxury vacation home, Casa de Paz (“Peace House”). “I really liked the whole concept behind Portasol – the extent of the acreage and the amount that will remain jungle, and the size of the properties themselves. Also very important to me is the fact it is a gated community and is very secure. 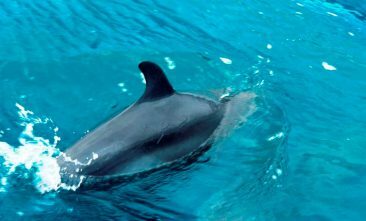 Portasol is environmentally unique within Costa Rica and is unlikely to be duplicated,” said Paul. 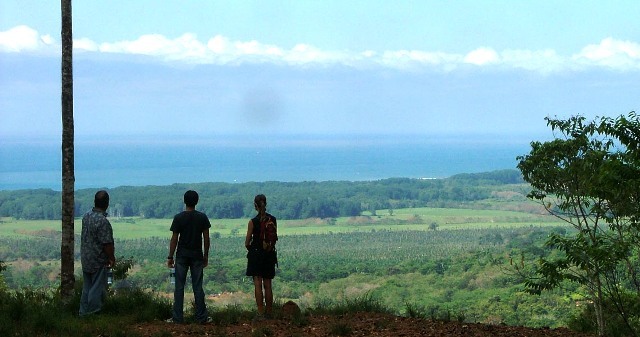 “We offer a unique, real Costa Rican ambience – both cultural and environmental. It is a place of total peace in a strategic location,” summed up Portasol CEO, Guillermo Piedra Gonzalez. 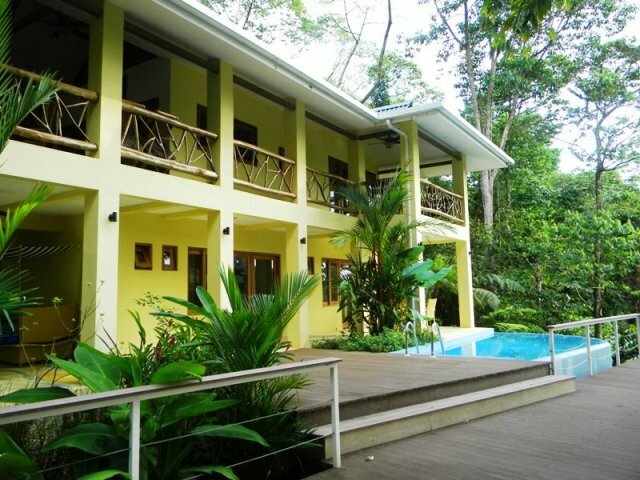 Come to Portasol Rainforest & Ocean View Living on vacation and explore the eco-development’s many Costa Rica properties for sale. Water: Numerous springs and ground water at Portasol guarantee an abundance of fresh, potable water. Electricity: Residents have 110 and 220 volts available to the property line. Security: Access to Portasol is controlled by a private gate and 24-hour security personnel. Telephone: Land lines are available on most of the lots; mobile phones have reception throughout most areas of Portasol. TV: Satellite dish technology is available. Garbage collection: Living regulations call for recycling and garbage collection on a fee basis. Roads in the developed areas are graveled and well-maintained. Rain drainage: The community is integrated with the natural terrain. Engineered planning and construction has created a very successful system of culverts and ditches, making the hydrologic environmental impact very low. Sewage water disposition: Portasol has a carefully designed system of septic tanks to be implemented by property owners in their construction.